Why is Kelloggs Called Kelloggs? 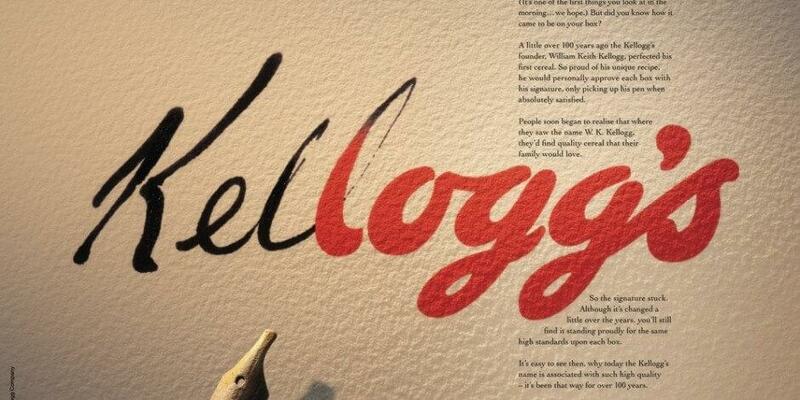 Very few companies have a startup story as interesting as the Kellogg’s brand. In the late 1800’s, a physician named John Harvey Kellogg was working in the Battle Creek Sanitarium as the superintendent with his brother Will Kellogg. John was an avid opponent of sexual desire and thought any form of it was bad, including that between a married couple. As such, he was looking for ways to stop people from experiencing this desire. Through a series of trial and error, he came to the belief that people’s personal desires stemmed from their diets and that bland diets of nuts and grains would alleviate such desires. During this time, Dr. John Harvey Kellogg created a corn flake cereal that he would feed to patients. To help quell the entire country’s “desire,” he and his brother Will Kellogg started a company. After a short stint together, the two had a falling out over the cereal ingredients (due to sugar). Will Kellogg moved on and started his own cereal company. That company was called Battle Creek Toasted Corn Flake Company. In 1922, the company was re-branded to Kellogg’s. Why is it Called Kellogg’s? The name Kellogg’s came from Will Kellogg’s last name. It is said that the logo for Kellogg’s was Will’s original signature and that he would sign every box he sent out as a sign of authenticity in the company’s early days. This signature is the same one they still print on the box today. Due to Kellogg’s initial start as a health-focused company, the Kellogg’s brand was synonymous with a healthier cereal. This image would continue to shape the company into present times and help launch it to its success. Kellogg’s was also the first cereal to put a food label on its boxes (this was before food labeling was required). Kellogg’s was originally focused on having wholly vegetarian ingredients due to Will Kellogg’s vegetarian views as a Seventh-day Adventist. Another marketing hit was Kellogg’s adding toys inside the cereal box for kids. Will Kellogg spent a great deal of his time and money on philanthropy and as such, created a 6-hour work day in his factory during the great depression. The reason he did this was to go from 3 shifts to 4 shifts in his factories so that the company could hire a whole new shift’s worth of people and provide more jobs to the unemployed. This practice continued until the 1980’s in some of the Kellogg’s factories. Today, Kellogg’s Cereal is the largest producer of cereal in the world with over 2.59 billion dollars in sales revenue from cereal alone, followed by General Mills. In total, the Kellogg’s company has annual revenue in excess of 14.5 billion dollars. 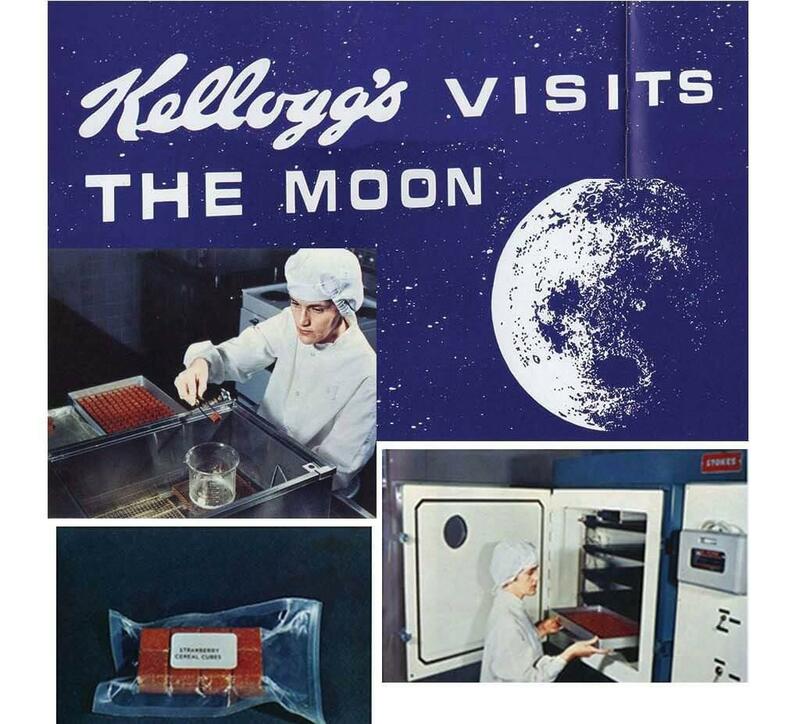 It was the first cereal on the moon and the first cereal to sponsor the Olympics. Although the cereal market has taken a hit in recent years, the Kellogg’s brand continues to push forward. Did you know that Kellogg’s is the official cereal of the Royal Family and holds the “Royal Warrant” to provide the cereal for Queen Elizabeth II and her heirs? 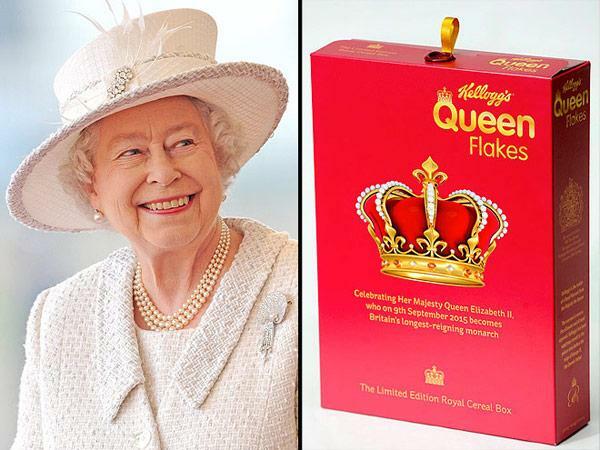 After decades of being selected to be the provider for the royal family, Kellogg’s released a version of its cereal called “Queen Flakes” in Queen Elizabeth’s II honor.